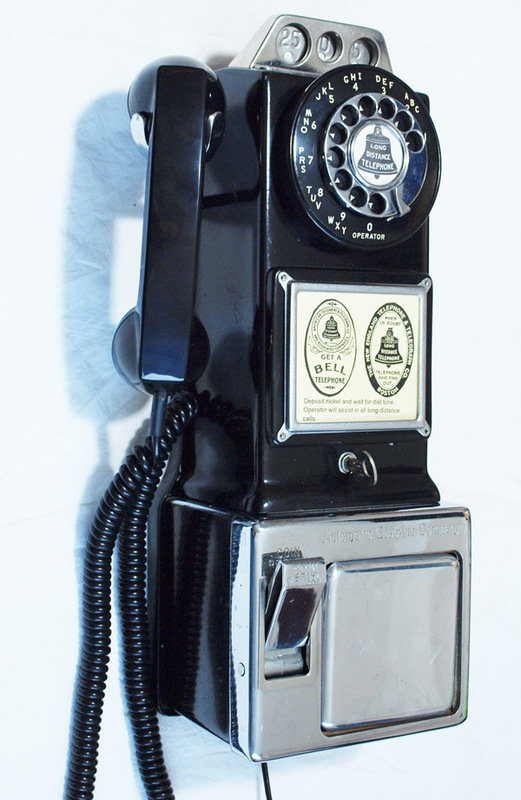 This is a very rare telephone to find here in the UK. 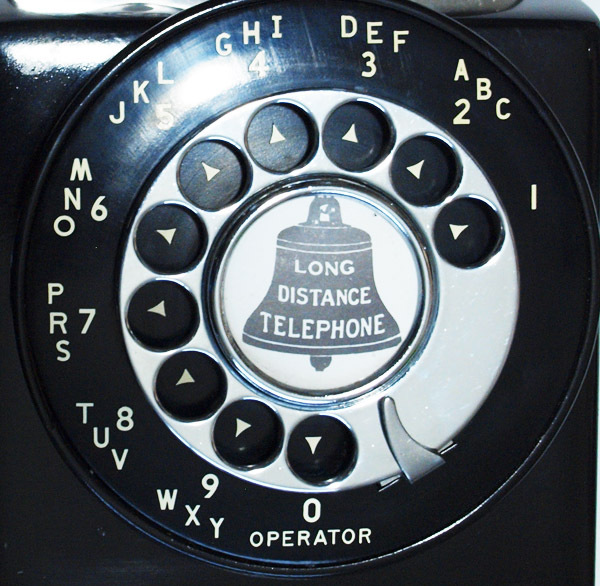 This is a very well made US telephone. It actually weighs an incredible 9 kg before packing. It is not a reproduction and is a model I spend a lot of time trying to get my hands on. I love this iconic piece of American history and it is so rare to get them in the UK. To ship this to the UK by air would be well over £100 plus VAT on both the purchase price and the shipping. You may also be liable for import duties but cant remember. If you can get someone to post it out of the USA which in my experience is quite hard. 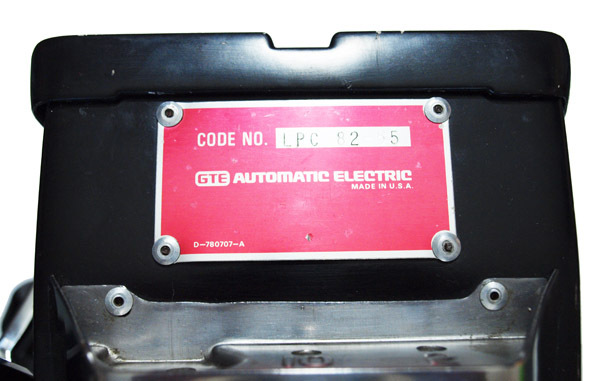 This of course will come with my lifetime of ownership guarantee and so added piece of mind. 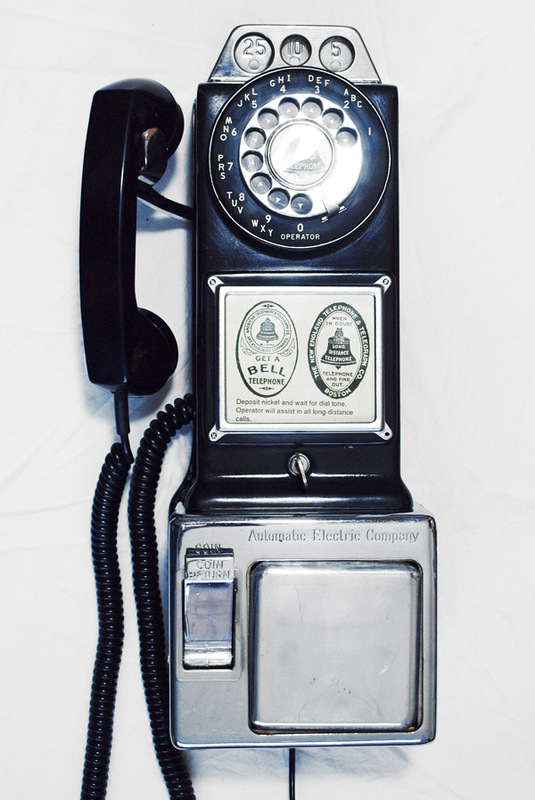 This telephone is as found but cleaned tested and fitted with an extra long handset cord, a new handset, an electronic microphone and a GPO specification round plastic line in cord with a UK plug telephone plug socket. Please note it is in great condition with all the chrome lovely and shiny. 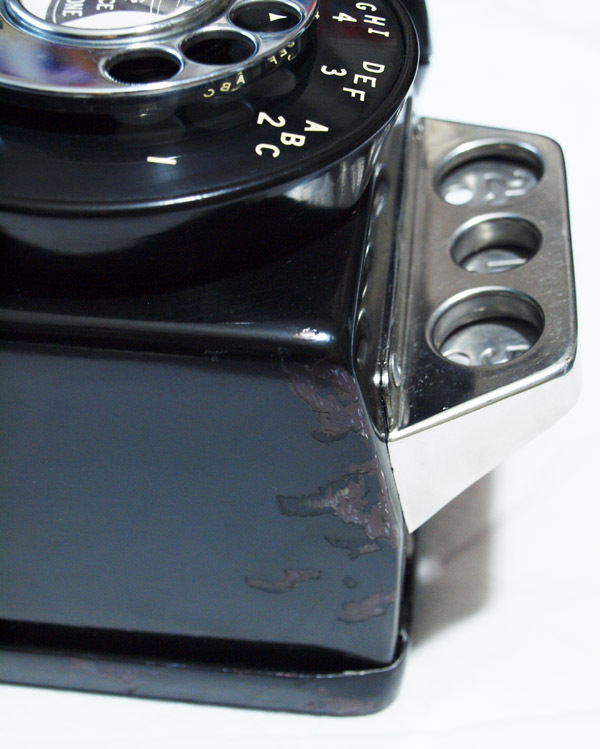 It has some paint scratches around as shown in the pictures but thought it nicer to leave than strip and re-paint. It is working perfectly to receive and dial out. 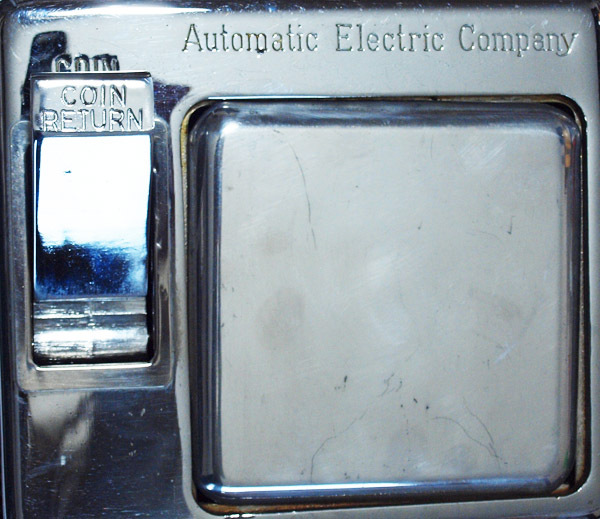 I have a couple of quarters I found in the coin box and they can be used in the slots and will go straight through to the collection box below. 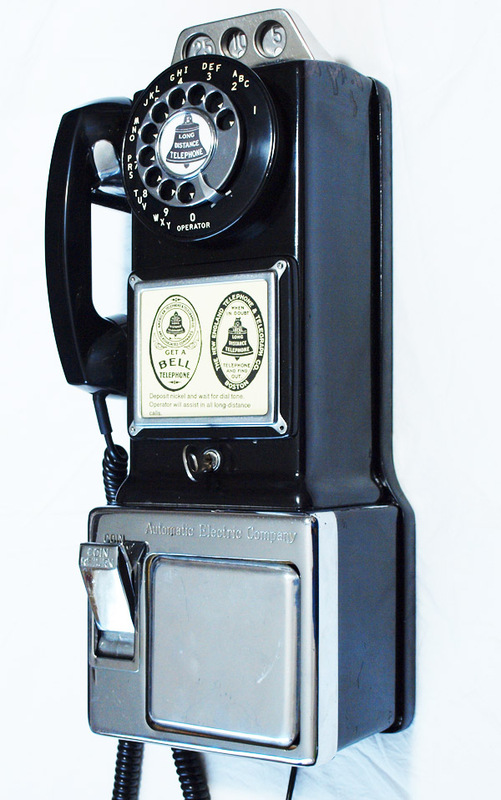 This is wired up to work as a normal telephone without the need for coins. 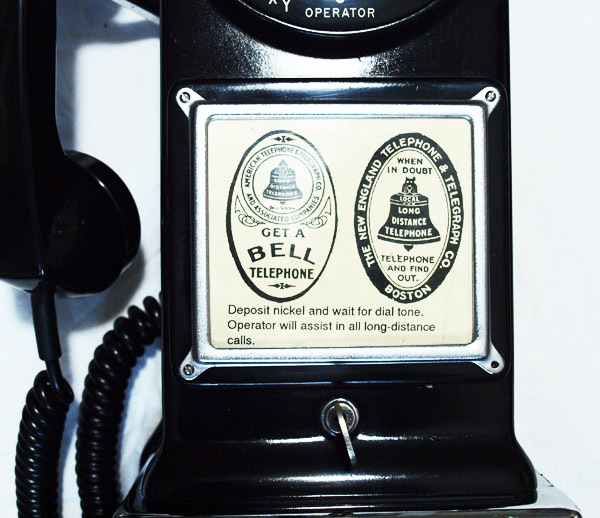 No dial label is offered as it has the bell logo in the dial centre. It also has the original key to take the front off and allow it to be screwed to the wall. Make sure you have a good solid wall to fit to. I get these in once in a blue moon and so don't hesitate if interested.